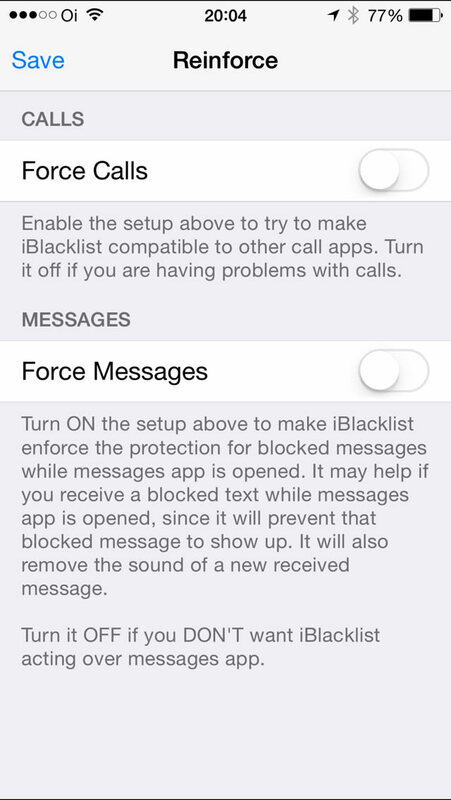 iBlackList gives you the choice of who and when you’ll receive messages or calls. Everything will be handled silently, removing all visual and sound effects in your phone when a call or message is filtered. 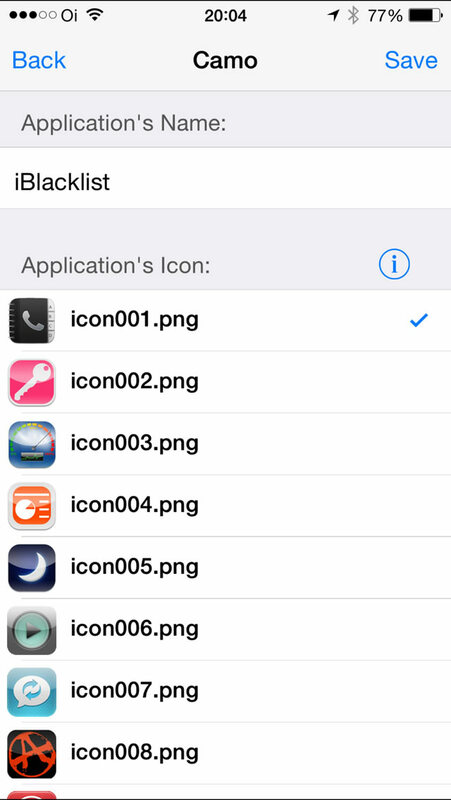 iBlackList is not available at Apple Store, our application is just available at Cydia under repository “BigBoss”, to install iBlackList you need to jailbreak your device, its very easy, secure and fast. Jailbreak is legal and dont cause any damage or risk to your device. 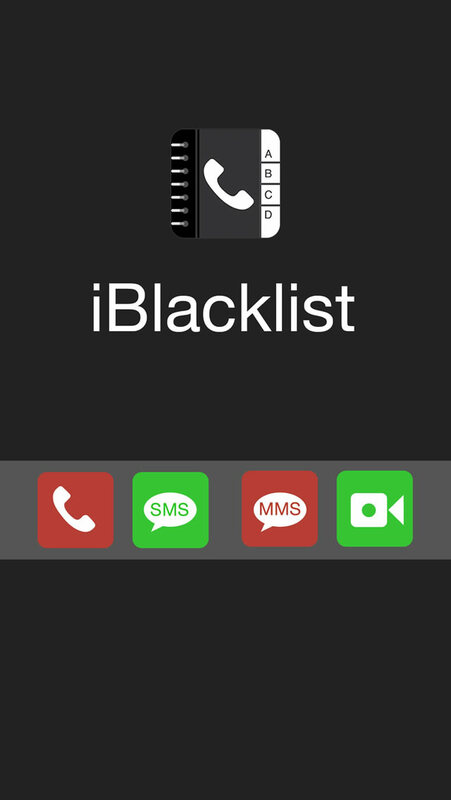 The Black Lists are used to add people that you wish to black calls ( phone calls and/or Facetime ) and messages ( SMS, MMS and/or iMessages ). 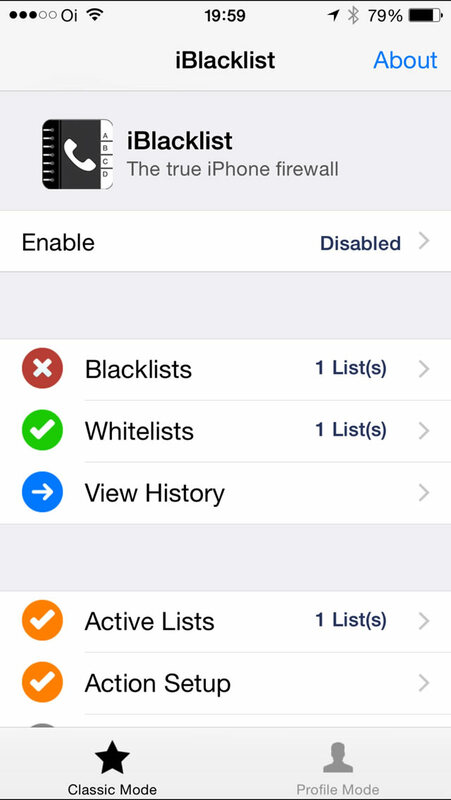 The White Lists are the oposite, once an whitelist is enabled only the users in this list ( usually family members, close friends and co-workers ) will be able to reach you, all the others will be blocked and the attempts will be shown in your history log. 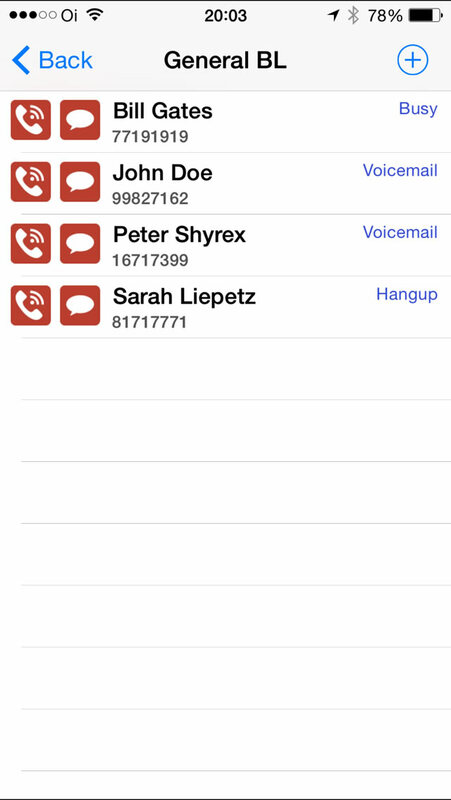 You can create as many lists as you want, the message and call controls are totally independent and allows you to set different actions for each list and even for individual contacts in a 100% safeand silent way. 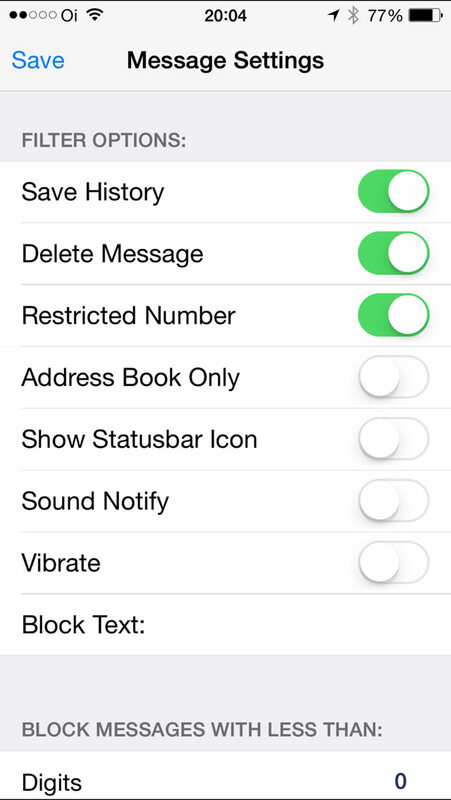 The configuration screen is where the user can choose wich kind of restrictions will be applied to the list ( calls, facetime, sms, mms or iMessage ) also the way the phone will behave when intercepting those calls or messages. The user hold all the control over the phone notifications, choosing through sound notifications, vibrating, light notifications or simply the silent mode ( on this option all the calls and messages are received, blocked and stored in your private history without showing any kind of notification ). The system also allows the user to choose what action will be applied to the blocked action when the call is intercepted, you can redirect the call to your voice mail, send a busy signal, hang up, or automatically send an SMS with a pre-configured personalized message. Restricted numbers may also be filtered, numbers outside your contacts or even by the caller digits amount ( mainly used to filter telemarketing or inconvinient messages from the phone service providers, banks or websites ). All the settings can be permanent or configured by the user in a way that those rules will be applied in specified days of the week or periods of the day. Allowing you to create for example, a blacklist to a group of customers so they would be allowed to call you only on weekdays in comercial hours. 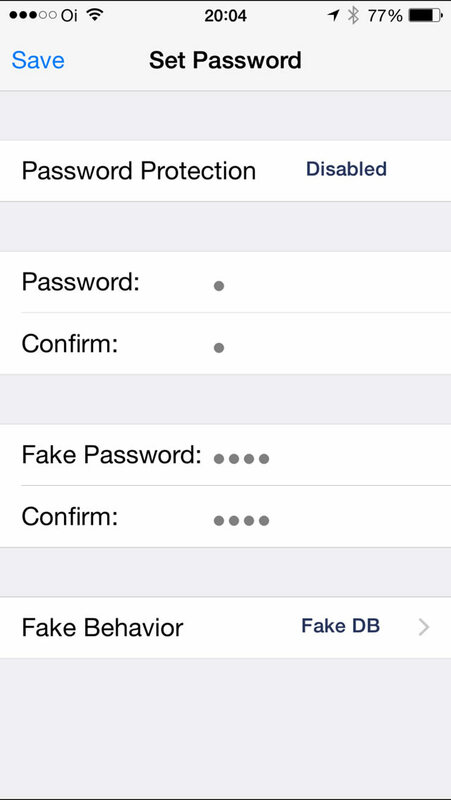 The application also have a camouflage system where the user can change the default icon and the application name, this way a nosy person wont know that the iBlackList is working, theres also an option to create a fake password that will open the iBlacklist with empty lists just like if the application was not beeing used or you can redirect it to another application (ex. iTunes or Calc ). 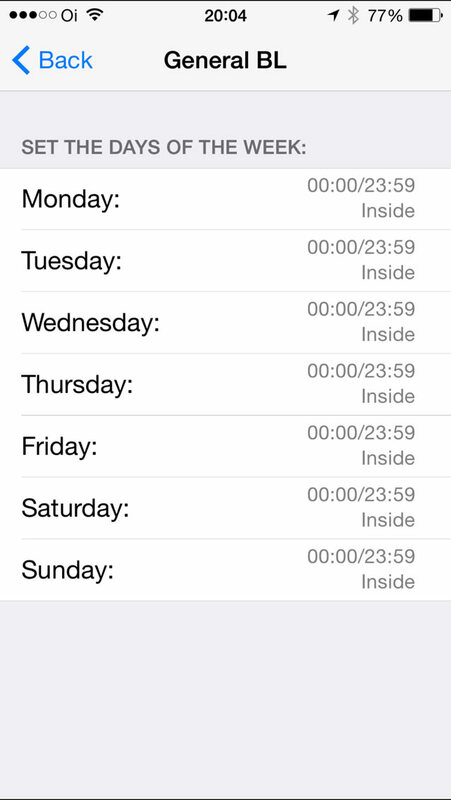 There is a history for every intercepted call or message accessible to the user by entering the correct password ( previously saved by him ), all the filtered calls, facetime, sms, mms or iMessages will be listed in details with date and time. 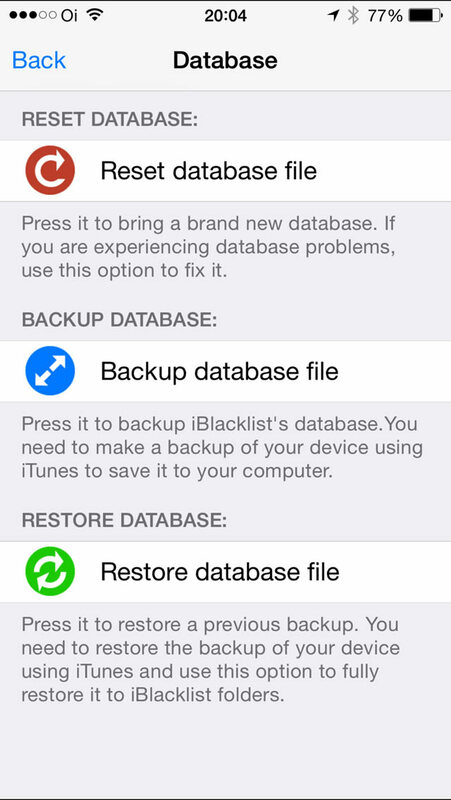 From within the application you can call back the filtered people and those calls wont display in your call history, you can even answer SMS, MMS, or iMessages using this feature to keep your privacy without saving any of it on the cell phone history (messages and calls made outside the iblacklist will be automatically removed from your history if the receiver is blacklisted). 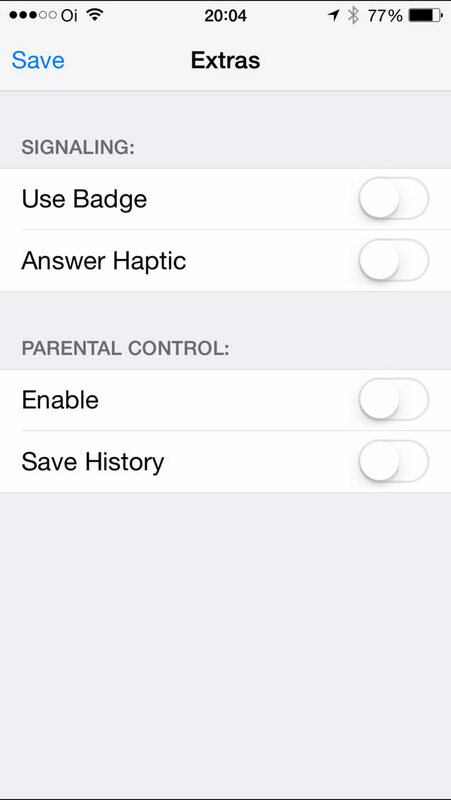 Parental Control with silent call log.